You are currently browsing the category archive for the ‘Catfish’ category. Happy Earth Day! I am afraid I am a bit under the weather (which seems appropriate, since our beautiful blue planet is catching a fever too). However it is worth devoting some time today to thinking about our planet and the entwined webs of ecosystems which support all living things (very much including human beings). The great masters of global capitalism claim that the Earth is inexhaustible and made solely for human delights. To hear them tell it, only if ever more people consume ever more consumer rubbish will we all thrive. However that claim always seemed suspect, and the notably swift decline of entire ecosystems within even my lifetime suggests that fundamental aspects of our way of life and our long-term goals need to be rethought. It is a formidable problem because the nations of Earth are facing a near-universal political crisis where authoritarians are flourishing and democracies are faltering. So far, the authoritarians don’t seem substantially concerned with a sustainable future for living things (or with any laudatory goal, really). This trend could get worse in the future as agricultural failures, invasive blights, and extreme weather events cause people to panic and flee to “safe” arms of the dictators (this would be a stupid choice since strongmen, despots, and tyrants are anything but safe in a any context). These frightening projections of doom are hardly a foregone conclusion though. A great many people of all political and ideological stripes are worried about the future and are working hard to ensure that humankind and all of our beautiful extended family on the tree of life make it into the future. Part of this is going to involve engineering and biomedical breakthroughs, but political and cultural breakthroughs will be needed as well. I am ill-prepared to write out my proposals at length (since I would really like to lie down with some ginger ale), but fortunately I am a visual artist and I spent the winter of 2018 preparing a dramatic planetary image to capture my own anxiety for the world and its living things without necessarily giving in utterly to my fears and anxieties. I was going to introduce it later, but EarthDay is a good time to give you a sneak peak (plus it goes rather well with my Maundy Thursday blog post). Here is the Great Flounder–the allegorical embodiment of how Earth life if everywhere under our feet and around us, but we can’t necessarily fathom it easily, because of our scale. Speaking of scale (in multiple ways I guess), I continue to have trouble with WordPress’ image tool, so I am afraid that you will have to make due with this small image until I learn about computers…or until posters get printed up (dangit…why do we have to sell ourselves all of the time?). In the meantime here is a teaser detail to help you in your own contemplation of if/how we can make Earth a paradise for ourselves without destroying it for the other inhabitants. We will talk more about this soon, but in the meantime happy Earth Day. We will work together to save our giant blue friend, I know it! Let’s just collaborate to do so before we lose African elephants, numbats, mysterious siphonophores, or any of our beloved fellow lifeforms on this spherical island hurtling through space. Do you remember all of the catfish which used to be on Ferrebeekeeper? There were underground catfish, coral reef catfish, and giant catfish. We even featured Ancient Egyptian catfish and nightmare vampire catfish that crawl inside people! Sigh…happy times. That obsession with catfish was one of the factors which launched this blog. It is extraordinary how many different species of catfish there are and how wildly diverse this one order of lifeforms is. Catfish have extraordinary senses which humans lack entirely. They can be tender and solicitous parents and they are capable of building structures. Ranging in size from nearly microscopic to enormous, the siluriformes are everywhere except for the deep ocean and Antarctica (and, uh, the sky). Yet, due to human myopia, the first thing I get about catfish on Google is some weird internet mumbo-jumbo about pretending to be somebody else online? What??? Anyway, I am trying to freshen up Ferrebeekeeper, and I am going to fold the “catfish” category into a larger “fish” category (if catfish are so inexhaustibly diverse, just imagine how diverse the larger category of fish is!). For old times sake, though, we are going to feature a few more posts celebrating the diversity of this enormous vertebrate order (1 out of every twenty species of vertebrates is a catfish!). Today we feature a little gallery of the whip slender armored catfish of the Loricariinae subfamily (aka the “whip catfish”). These small armored catfish live throughout Central America and South America East of the Andes and feed on small invertebrates of the substrate. Just look at all of these beauties! It is like wandering through an art show and being continuously surprised at how many stunning variations there are on a single theme. Today (December 4th) is national cookie day! Cookies are tiny sweet cakes which are eaten as dessert or a general treat…or with tea if you are English or Irish. The English and Irish, coincidentally, know them as biscuits (although it is unclear if it is ‘National Biscuit Day” over there). To celebrate, I thought about making my favorite cookies (oatmeal? snickerdoodles? chocolate crinkles? ), but it is late in the day and anyway, at the end, I would just have tons of hot delicious cookies distracting me from flounder art. Plus, due to the sad limitations of the internet I cannot share baked goods with you—even though I like my readers and would love to bake a treat for you. So instead I have decided to celebrate cookie day by featuring pictures of cookies found (stolen?) from around the internet. I have a little gallery dedicated to several different Ferrebeekeeper topics. Crown Cookies: there were SO many of these. Why do people love kings and queens and princesses so much? One of the delightful/disturbing things about this exercise is seeing how talented and creative everyone is. Look at the beauty of these cookies! Based on the esoteric subject matter (and the places I found the images) most of these are hand crafted, yet they look finer and more original than anything from a baker’s window. It is great to know how gifted everyone is too, but it is sad on several levels. If we can bring the earnestness, attention to detail, raw creativity, and hard work people put into baked goods into politics, we could get out of the political decline and societal stagnation we are in. Um, we are going to have to actually do that. But we can worry about that later in the week (when I will shake off my torpor and write a meaningful essay on our political deadlock (and our moral problems in general). In the meantime, enjoy the cookies! After seeing what people have done with this medium I am thinking about making some cutters of my own so I can bring up my own cookie game. Also I still have that big project I am working on! I can’t wait to show you what it is in the New Year! Here is one of the world’s rarest and strangest fish, the golden cave catfish (Clarias cavernicola) which can be found only one place on Earth, the Algamas/Dragonsbreath cave in the Namib Desert. This incredible cavern is 100 meters (300 feet) beneath the desert and it holds the world’s largest known underground lake (discounting all subglacial lakes—which can be huge). Above ground is an arid desert wasteland, but in cave is a huge lake where unfathomed waters may descend another 100 meters into the Earth. Since only a narrow chasm opens to the sky, the lake has a very limited ecosystem built around whatever falls into this chasm (which was only discovered by science in 1986). These blind ascetic catfish dwell on such scraps and on the white shrimp and strange aquatic worms which live in the water beneath the desert. Though they have lost their eyes, their other senses have become extremely acute in order to find every bug or speck of nutrient which falls into the hidden lake. Additionally, these small (16 cm/6 inch) fish have a limited ability to sip air–so that they can better survive the still and anaerobic depths of their hidden lake. The entire species may only consist of a few hundred (or thousand) individuals. Well, the 2016 election is finally over. And I sort of got my wish–all three branches of government are fully united and deadlock is over. Plus we have our own Kim Jong-un now, a glorious orange child-monarch of absolute privilege who is beholden to no one and obeys no rules. Perhaps we can use this loose cannon to deal with North Korea once and for all, before they get long-range nuclear missiles or trade warfare leaves China with nothing to lose. Oh! and maybe Newt Gingrich will finally get his moon base. Anyway, we can talk about affairs of the world again in 2020 (if any of us are alive)…or maybe in 2018 if demographics moves faster than the statisticians say. But the end of the never-ending election brings up one big problem: what is anyone going to write about now? 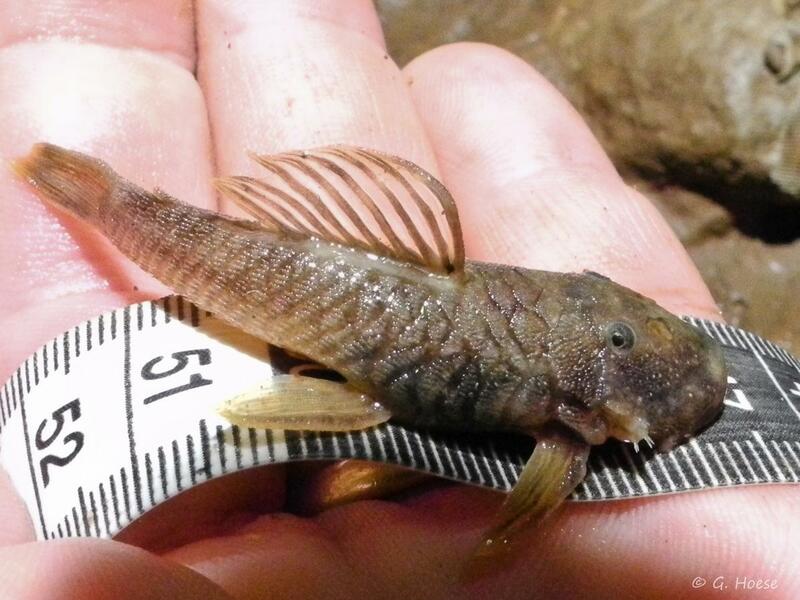 Fortunately Ferrebeekeeper has the answer the nation craves: Ancistrus–the endearing bushynose catfish! These armored catfish from South America (and Panama) have faces so ridiculous and ugly that they are actually adorable. Ancistrus catfish are part of the Loricariidae: armored suckermouth catfish which live on plant material. Many of the 70 species of Ancistrus catfish live in the Amazon Basin, but some live in other South America river systems–or up in Panama. Females have a few short bristles poking out from around their mouths, but males have a magnificent beard of tendrils running from their midface. Male Ancistrus catfish are dutiful parents. They hide in underwater dens and guard clutches of eggs which the females lay upside down sticking to the roof. When the fry hatch, the father guards them when they are little and vulnerable. Female catfish like dutiful fathers, and they are amorously receptive to males who have clutches of young (since successful males tend to have multiple batches of eggs). It has been speculated that the tendrils actually evolved to help males look like they have young in low-light dating situations. Undoubtedly these tendrils also help the catfish feel and taste their way around in low light situations (although the fish, like all catfish, are blessed with an astonishing array of senses). Three species of Ancistrus are, in fact, true troglobites: they dwell in underwater caves and have lost most of their pigmentation (and their eyes are becoming less acute and withering away). The other species of Ancistrus are pretty stylishly colored too: they tend to be covered with yellow or white spots. I think we can finally agree that this is a face we can all get behind! The Amazon is the planet’s largest river. The great waterway is very much in the news this week as the world turns its eyes to Brazil to watch the Olympics. My whole life I have wanted to visit the upstream backwaters of the Amazon and view its ecological treasures before it is all converted into strip malls and low-cost parking. Unfortunately, the developers are doing a lot better in this life than I, so I am not sure that will ever happen. 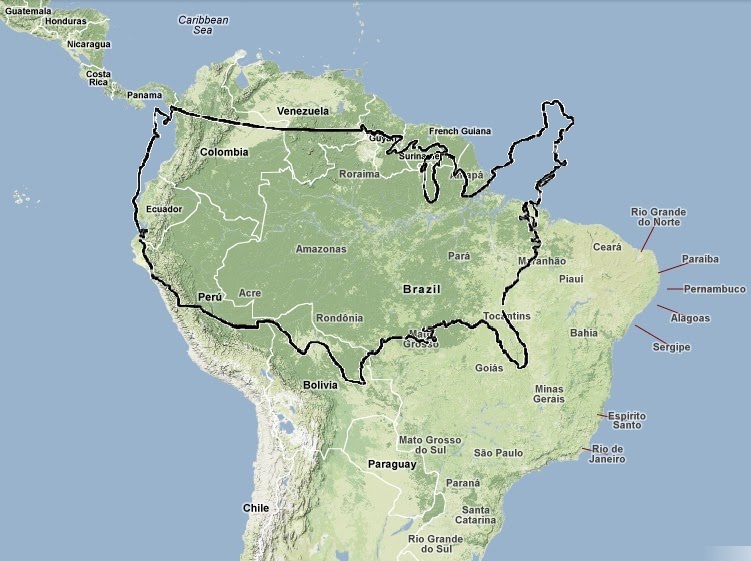 Thus, instead of going to Brazil in the real world, we will go there via blog! No need for visas (I hear that Brazil doesn’t really want American visitors anyway). We can check out the amazing fish, snakes, mammals, and, um, emperors of Brazil without ever leaving the internet. The Pirarara is actually a giant extremely colorful catfish which grows to immense size (You knew I couldn’t get through these Olympics without writing about some of the magnificent siluriformes from the place with the greatest diversity of catfish….a place where catfish are actually found beneath the water table). 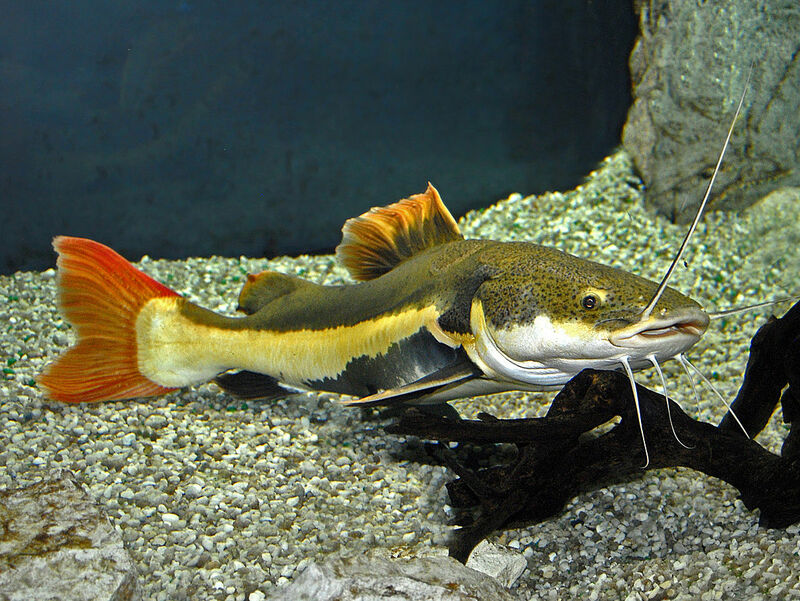 The pirarara (Phractocephalus hemioliopterus) aka “the redtail catfish” is the only living representative of the genus Phractocephalus. These catfish are omnivores which grow to 1.8 meters (six feet) in length and weigh up to 80 kg (180 lb). I wonder if they wear the same sized suits as me? I am being silly, of course: these catfish do not wear suits since nobody has found a pattern which does not clash with their brown backs, mustard yellow sides, and white stomach….and their bright ketchup-red tails. The pirarara should really be called the condiment catfish. The fish are popular in large aquariums, although they are so voracious that they can injure themselves by swallowing aquarium furniture and vomiting it back up. Redtail catfish may be the last living members of the Phractocephalus genus, but there were once many species…some of which date back to the upper Miocene (13.5 million years ago). They lived throughout what is now Brazil, Ecuador, Venezuela, Guyana, and Ecuador, in the great series of lakes and wetlands which made up the long-vanished Pebas mega-wetland. The pirarara has a certain prehistoric look to it. Can you imagine the crazy color combinations which its vanished realtives must have had as they sw3am among the super crocodiles and crazy alligators of the Pebas? It has been far too long since we dropped in on our friends the Siluriformes–the order of catfish (this makes them sound like a powerful secret society…but the catfish kind of are a powerful secret society). Today Ferrebeekeeper features an especially magnificent and crazy-looking catfish, Cnidoglanis macrocephalus, AKA “the Cobbler.” Cnidoglanis macrocephalus is the only species within its genus. It belongs to the Plotosidae family of catfish which includes ocean-going and saltwater catfish like the adorable coral reef catfish (these stripy little guys live like clownfishes, surgeonfish, and triggerfish within the tumultuous and colorful ecosystems of coral reefs). The Cobbler does live in salt water, but they do not venture out to the coral reef. 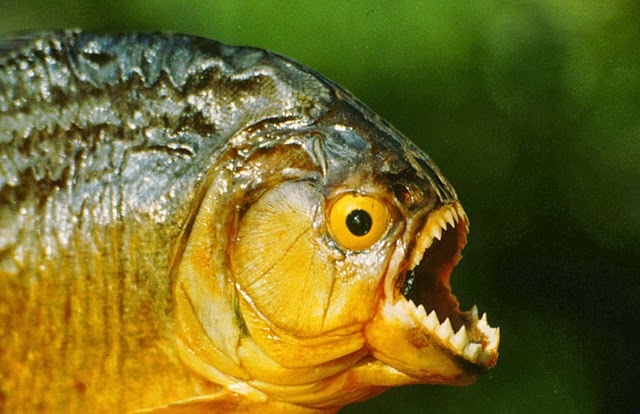 Instead they live in brackish areas at the mouths of rivers and streams. The flamboyant fish—which have whiskery catfish heads annealed to eel-like tails can grow up to 90 centimetres (36 in) in length and weigh 2.5 kilograms (5.5 lbs). Cnidoglanis macrocephalus tends to spend the day hiding in holes. Then at night the catfish comes out along the coastlines to feed on mollusks, worms, crustaceans, algae, and organic debris (the darkness helps them hide from predators and poses little challenge to the superb catfish senses). The fish can live up to 13 years, although they are preyed on by cormorants and pelicans. To protect themselves cobbler catfish have razor-sharp venomous spines in their dorsal and pectoral fins. It’s a bit past the holidays, but I wanted to share the Christmas present I received. A plush catfish! Look at how endearing it is. There are too few catfish toys. This is a blue catfish (Ictalurus furcatus), the largest species of north American catfish, which reached sizes of up to 165 cm (65 in) can weigh more than 68 kg (150 lb). The blue catfish does not just make a captivating plush toy, its success in the competitive real world also illustrates why the siluriformes are such formidable lifeforms. Although blue catfish can eat almost anything, they are highly competent and aggressive predators (look at its predatory lines). They are capable of living in fresh fast water or in torpid brackish water and they possess all the myriad astonishing senses of the catfish in order to master their river home. This is a problem in the real world. The fish was originally native to the Mississippi river and most of its tributaries, but, aided by the fell hand of man, the blue catfish was introduced into the rivers and estuaries of Virginia where it has swiftly displaced native life. Because of its ability to survive brackish water, the mighty catfish of the Mississippi has been taking over parts of the Chesapeake Bay. Hopefully it wasn’t a mistake to bring one into the house. 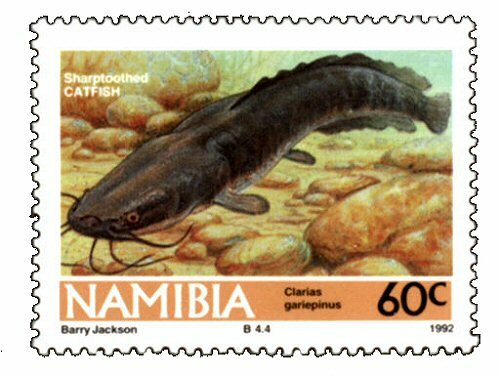 Here is a stamp which combines two of my fascinations—catfish and Namibia. Of course Namibia is a vast and profoundly arid desert—literally a sea of sand—so perhaps you are wondering how a catfish made it onto their postage. Well the African sharptooth catfish (Clarias gariepinus) has a habit of getting everywhere. It lives throughout most of Africa and the Middle East and (though ill-conceived aquaculture) has established colonies in Vietnam, India, Brazil, and Indonesia. The catfish is an air breather. It can sip pure air without the use of its gills, so it can survive in puddles, mud wallows, and even in filthy anaerobic water. Some of them have moved into the sewers of big cities. Speaking of big it is arguably Africa’s largest catfish with an average adult length of 1–1.5 m (3 ft 3 inches –4 ft 11 inches). Even in a dry land like Namibia this tough persistent catfish manages to find watercourses of one sort or another. Like its close cousin, the walking catfish of Asia, the African sharptooth catfish is a remarkable creature. 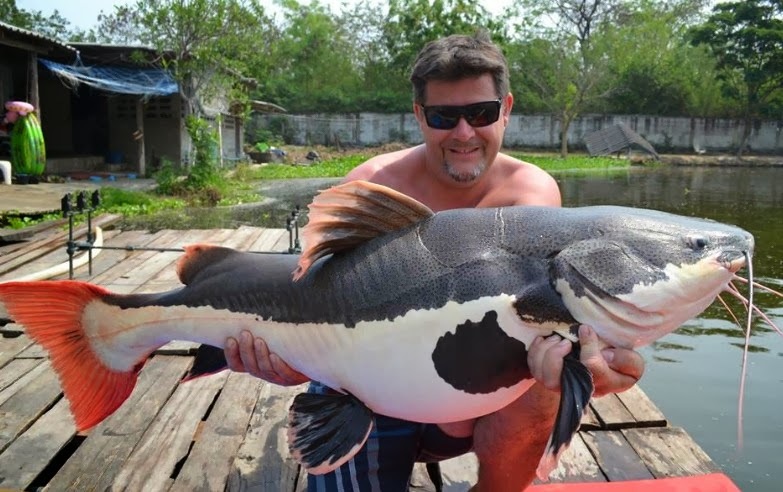 The Amazon River is renowned for having the greatest diversity of catfish of any river—oh, and it is also the largest river in the world too, I guess. 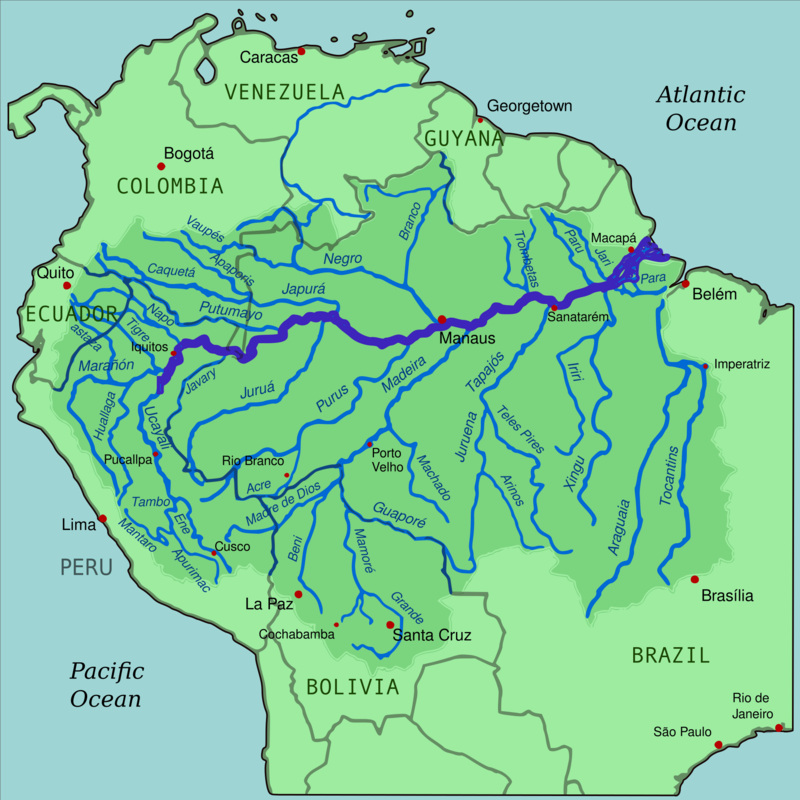 The river drains half of South America and its branches flows through many many different sorts of regions. Near Tena in Ecuador, the river’s tributaries flow through a karst landscape of sunken limestone caves, streams and springs. There, deep beneath the rainforest, scientists have discovered a catfish with a remarkable ability to climb walls—or perhaps I should say they have rediscovered a previously known fish and found out it has unexpected talents. A team of naturalists led by Geoff Hoese found the catfish in a subterranean waterway jauntily climbing up a sheer 3 meter (10 foot) stone wall with a thin rivulet running down it. Here is a link to a National Geographic article about the catfish—you can go there and watch a video of the catfish shimmying up and down water-slicked rocks. The scientists believe the fish is Chaetostoma microps, a member of the suckermouth armored catfish family (Loricariidae), a group of animals which Ferrebeekeeper has enthused about in past posts (although the fish’s identity remains unclear—since the team had no permit for taking specimens and left the creature unmolested still climbing its underground walls). Chaetostoma microps is not notably specialized for cave life—it still has pigment and eyes, and lacks the marked asceticism of other true underdwellers like the pink catfish Phreatobius cisternarum (which lives beneath the water table!) 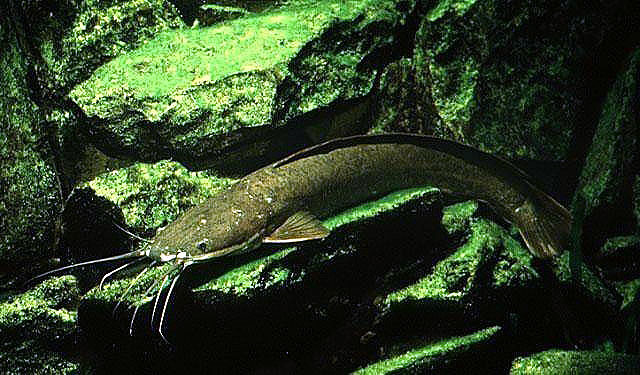 Chaetostoma microps feeds on algae—which is notably lacking from underground caves. So what exactly is the fish doing down there? And how/why did it evolve its remarkable ability to climb rocks without much water? The answers are unclear, but it seems reasonable to assume that a fish from the vertiginous yet cave-studded foothills of the Andes would need the ability to climb in order to maximize its habitat (and to prevent being sucked into an inescapable underground grotto). Maybe Chaetostoma microps is really a mountaineer catfish. Instead of leaping like salmon, it deals with its rocky treacherous home by suction, barbels, and indomitable spirit!